This week sees Cyprus’ own bus launched in the main coastal city of Limassol! 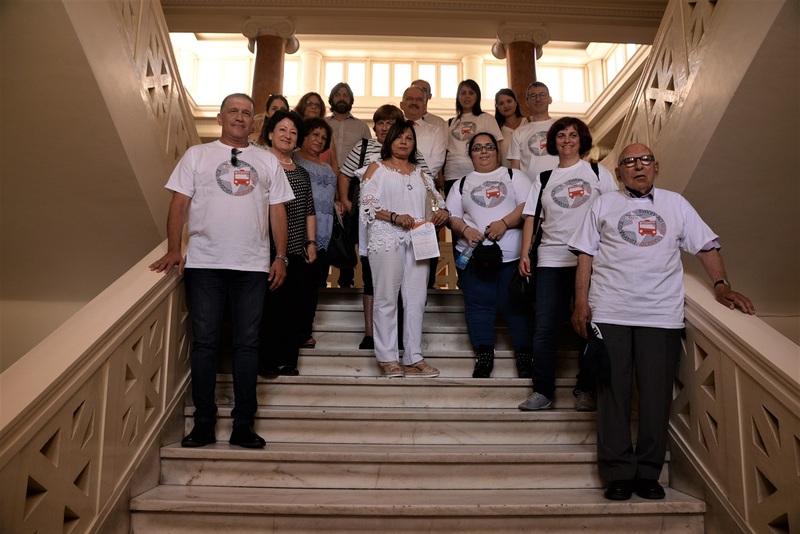 A big group of EMIN Cyprus members and bus volunteers were met by the city’s Mayor, who promised to sign our petition after passing it through his cabinet! 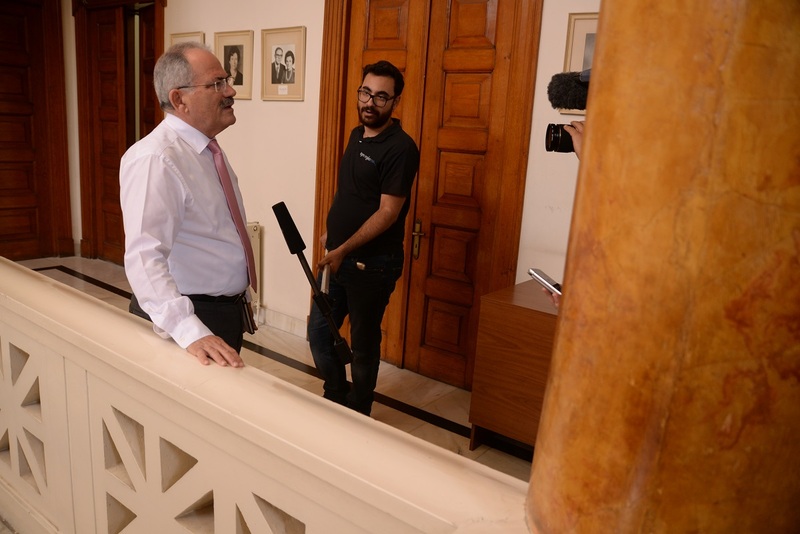 “Local authority as an institution has an obligation and a responsibility to seek the welfare of the citizens.. cooperation and synergies between local authorities and civil society is essential for this work to be successful” he said. 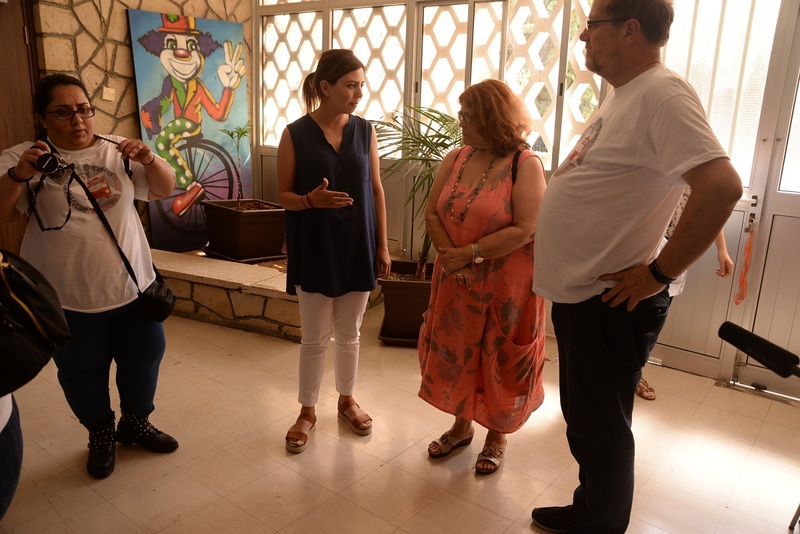 More than money alone is needed to guarantee that everybody can fully participate in society of course, and we visited two great multipurpose centres in the city: Zena of the Bicommunal Multiservice Centre told us of their work from the heart of the St Anthony area – an area with many Turkish Cypriots. It is the only organisation in Cyprus working with Roma families. The centre aims to help people feel comfortable to seek work via skills-building and applied lessons, but also to be close to families and develop trust in order to improve school absenteeism and include vulnerable children & youth. Often they find that their centre is the only place families feel comfortable and accepted, so parent/teacher meetings are held there for instance. The issues the centre deals with include prohibitive rents for the 2nd generation wanting to leave the family home; a lack of empty housing in the city-centre area where people want to live; exclusion in schools and absenteeism. Despite regrettable cuts to funding, they are clearly providing a safe haven of vital service to the community. One City, the Whole World, Limassol integration programmes provide a ‘social grocery’, after-school activities for teenagers; preventive street-work and many more services. The grocery which is donation-based, was started as a reaction to the long delays in minimum income payments when the scheme started. While they began as a service to help people apply for MI, now they refer people to the Ministry of Social Security, and show that joining various services under one roof brings great benefit to society. Being based in the community, they have the value of being able to spot new issues and bring them to the government. For instance a new potential issue of adults at risk of homelessness has been brought to the municipalities’ attention who are considering new social housing. Such municipal-cooperation is exceptional in Cyprus. Both centres are very inspiring examples of integrated people-centred services, based in the communities that need them! …. 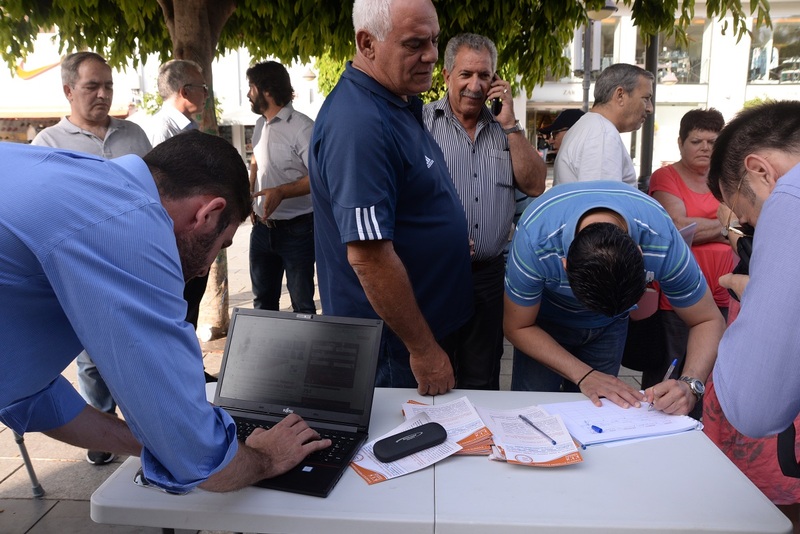 We parked the bus then right in the Anexartisias square in downtown Limassol, where Minimum income recipients recorded their experiences on film, and quite some signatures were collected. In the early evening, the 1st arrival of the 10 bikers – cycling around Cyprus to spread our messages for guaranteed minimum income schemes – also attracted quite some curiosity for our presence there!